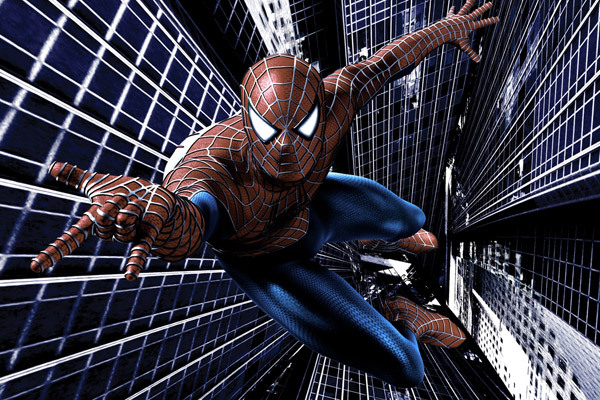 The other night I watched the latest Spiderman film (The Amazing Spiderman 2), Spiderman 2.2 if you like. There was a lot to like about it on some levels: it looked fantastic, it was exciting + well paced considering the two and a half hour runtime, the lead characters (Andrew Garfield and Emma Stone) were superb and had genuine chemistry. In fact I’d even go so far to say that Garfield is pitch perfect as both Peter Parker and Spiderman (especially if you are familiar with the comics). Yet despite having much in its favour, there was an awful lot “off” about it. 1. Some scenes were far too convenient for their own good. Plausibility was beyond breaking point in the same way Silva calculated all of Bond’s moves in Skyfall (and interestingly one such scene is also set in an abandoned subway station). 2. The baddies were all under-developed (a shame as Dane DeHaan did some fine work here). Everything plotting their fall from good to evil felt rushed, incomplete and false. It appears they tried to juggle too many baddies in a single installment again, generally a recipe for disaster (even if it is isn’t anywhere near the disaster Batman and Robin or Spiderman 3 were). 3. It seems the script-writers were ticking boxes for the studio. The actors are let down by a clunky/poor script which is more interested in setting up merchandising and future installments rather than actually telling a good story (Iron Man 2 syndrome)! 4. The core problem (which ties in with the other points): it was really two movies masquerading as one. So instead of having two good movies with genuine punch/pay-off we end up with a frustrating mess of a movie. 5. Inappropriate music. Songs are shoe-horned in but they don’t fit the tone of the film (the end-credits in particular). Hans Zimmer (the “new” Danny Elfman?) turns in another bland super-hero score – the “wub-wub” stylings trying too hard to be edgy and cool (no – it’s like every other damn action trailer I’ve seen in the past two years). Shouldn’t it be “ELECTRO” rather than “DUBSTEP” anyway? The score feels a mixed bag (much like the film itself) despite a nice rousing brassy-blast for Spidey’s theme and suitably sinister motif for Osborn (which is itself ripping off Inception and Inside Man). Personally I like more consistency in my scores. The last three Spidey films in the franchise have all had different composers/themes, time to give Mr Elfman a call again! Ultimately what is my real problem? I’m suffering Franchise fatigue towards Superhero films (which seem to be all that play in cinemas these days – thanks very much Marvel!). The initial blame could perhaps be leveled at The Dark Knight. Now we have Marvel setting up The Avengers universe and releasing a new film each year, DC trying to get in on the action with Superman/Batman/Justice League. X-men has already had spin-offs with Wolverine, there is a new X-men film out this summer. I wouldn’t be surprised to see a Mystique film in the near future. Now there is Spiderman setting up The Sinister Six. The Spiderman franchise was already rebooted in its relative infancy and everything still feels a retread of the Raimi films. I’ve just read that Daredevil will be the next to get the reboot treatment. Great, we all want that one! To be perfectly blunt – this genre is becoming dull and clichéd. Even the marketing falls into cliché: the director of the current installment always announced in advance as being the director of future installments (ala Captain America 2/3, Man of Steel/Superman vs Batman/Justice League, X-men, The Amazing Spiderman 2/3) as if to create a false sense of spectacle. Of course the next installment will always be bigger better etc. and will end in yet another destruction of some city. And please remember to stay for the end-credits if it’s a Marvel film (This new Spiderman film features perhaps the most bizarre “Easter Eggs” ending of all – completely unrelated to the franchise). I’d love to see this genre take a sabbatical and come back when it has something which is fresh and new to say. Sadly this doesn’t appear to be the case and it looks like we are going to endure many more years of spin-offs and “the same old”. Hmm – perhaps Batman and Robin wasn’t so bad after-all! I’ve just had the good fortune to catch up with the new Bond documentary Everything or Nothing. The film was showcased in selected Odeon cinemas recently to celebrate the 50th Anniversary of the James Bond series. 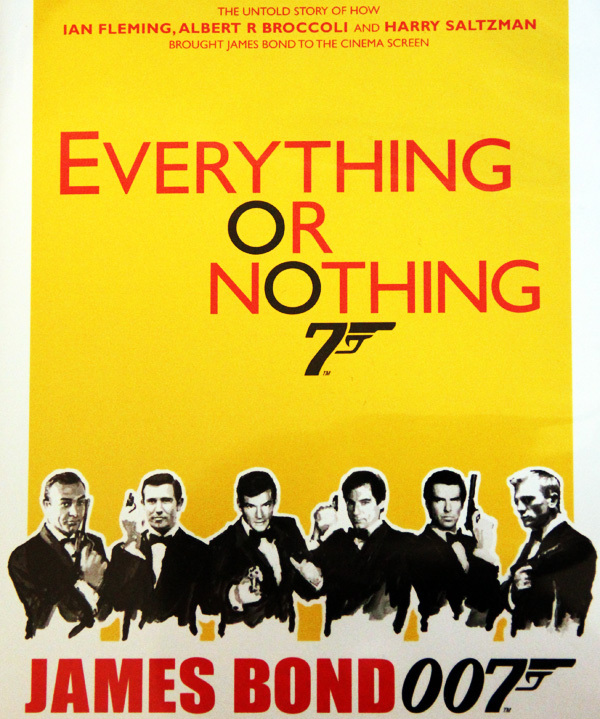 Everything or Nothing, for those unaware, is the name which the Bond producers adopted when the began making the films in the early 1960’s – EON Productions, which is still the company producing the series to this day. The documentary charts the journey from the literary origins of Ian Fleming’s super spy – right up to the recent films – Sean Connery to Daniel Craig. It is primarily interested in charting the ups and downs of the series producers and could be one of the criticisms I could aim at it – it turns into “the Broccoli show”. The Broccoli family who produce the films are notoriously guarded about how they are portrayed in the media. This ultimately makes some issues feel a bit too rose-tinted and sanitized at times. You will not find a single bad word about Cubby said here. That said, this is perhaps one of the more refreshingly open and honest documentaries I have seen about Bond. There are a few revealing candid moments here, mostly from former Bonds and how they were unceremoniously replaced. Another criticism might be that many prominent characters appear and are then dispatched of in much the same manner. You could also argue that many diehard fans will already know the majority of stories and anecdotes on display here. This said, it is still extremely well made and for this fan it offered plenty of new behind the scenes footage and new unseen interviews. Naturally Sean Connery declines to get involved as per usual, his notorious falling out with the producers being covered along the way. Despite Mr Connery’s notable absence, the Bond actor interviews are where this documentary really soars. As Pierce Brosnan notes, it really is an exclusive feat playing Bond and more people have walked on the moon. It’s great to hear them talking candidly about the subject. Keeping things interesting are some nicely timed intercuts from the films and superb use of the music in the series. The documentary is fast paced, informative and whistles by before you know it – much like the films themselves. This feels like the natural companion piece to the “Inside” making of documentaries by John Cork which feature on the films up to 1989. If you like those, chances are you will like this. Therefore I would argue this makes a far more worthy addition to the otherwise brilliant Blu-ray collection than that disappointing bonus disc they produced. All in all, this comes highly recommend – especially to fans of the series. Just had a look back at my list of things to achieve for 2012. We made the 10th February deadline and the film played at BAFTA in February. This was a fantastic experience! One thing outstanding is that I need to produce a proper DVD (apologies to anyone still waiting). I’ve spent a fair bit of time creating bonus material (eg. several versions of the film to show its evolution, image galleries, interview clips, plus a making of documentary). Hopefully the extra wait is going to be worth it. 2. To do more editing/composing. This I feel particularly happy about. I smashed last year’s record of a lowly three tracks (of which I only really liked one). This year on average I’ve composed over a track per month. Plus I’ve edited and scored Legacy (aka. the short formerly known as Dad). 3. More camera tests (eg. lighting, green-screen and special effects). Generally on this one, I’ll admit failure. I haven’t done nearly enough experimenting. Perhaps this will be the focus for 2013. I did get to play with a Black Magic Camera earlier in the month however. 4. To make at least one other short. Spare Change filled this gap. Okay, the original time-lines did slide drastically, but we got there! This is now in the same as Etiquette last year (ie. a rough cut in need of finalising). I also spent time helping Sean Langton make his debut (as co-producer). 5. To find an elusive feature to consider. 6. To continue blogging and networking. The 10 questions interview only happened once. I should perhaps concentrate on this more. However I have continued blogging and networking, so I’m going to claim overall success. 7. To remain being a good Dad to the kids whilst doing all of this. Obviously this is highly subjective. My children continue to be a constant source of delight and inspiration. Admittedly they sap up the majority of my time and energy – yet I find the benefits tremendously rewarding! The other big change (feeding into the point above) is that I’m now working a four day week in my day-to-day job. This has not been an easy transition by any means, but it does allow me to spend more time with family whilst they are still young. Ultimately I am hoping it will allow me to take on some additional film-work. So to sign off for 2012, I wish all readers of this blog the very best for 2013 – I hope you all have a great one!! Yesterday was a good day! Two Bond music related goodies arrived at my front-door. 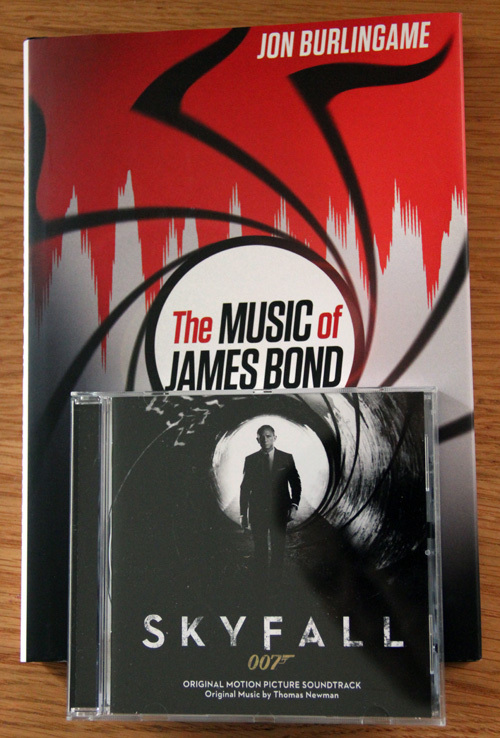 John Burlingame’s book, The Music of James Bond (which I can’t wait to read) and the new SkyFall Soundtrack. If you weren’t already aware, Bond has a new sound courtesy of frequent Sam Mendes collaborator and eight time Oscar-nominated composer Thomas Newman (son of the legendary composer Alfred Newman). Series regular David Arnold sits this one out after a run of five consecutive movies. Whilst this may not be the popular consensus, I’m actually very grateful Bond has a new contemporary sound. I must confess, I was initially somewhat weary of Thomas Newman getting the gig, his brother David would seem a much more natural fit for this film. David Arnold is clearly respectful of late composer John Barry and whilst his work is definitely serviceable, his work has a tendency to be somewhat derivative of his first Bond score (Tomorrow Never Dies). John Barry was a master of creating atmosphere by using specific orchestral styles or instrument types (even creating a new sound for each Bond actor – Connery: Guitar/Brass, Moore: Strings/Brass, Lazenby: Moog/Synths, Dalton: Bass/Drum-loops). David Arnold on the other hand tends to throw in the entire kitchen sink. Subtle it aint! Some of his work is often loud, overblown and occasionally bloated. Once you have thrown everything at a cue, you don’t really have many places you can go (although he falls back by throwing a hanging trumpet chord before repeating all over again). The exception to this rule was his more introspective score to Quantum of Solace – which I think holds up as some of his strongest Bond work to date (even if the film itself doesn’t). Newman takes his own approach. It won’t sit well with everybody, as it is at times very minimalist, but still has the power when required. The difference is he generally doesn’t tend to over-blow just for the sake of it (although there are instances where it still happens – including one “Thunderball” moment – although this mostly brought a smile to my face). Generally this is not what we have come to expect for Bond score (ala Eric Serra), and whilst I believe it fits the film like a glove – some will dismiss it as “not David Arnold”, “not Bond” or “sonic wallpaper”. Time will tell. Newman is a composer I rarely “get” upon a first listen, some of his work here is no exception. However there are definitely stand-out tracks which broke this rule, most notably Severine (a beautiful lush romantic track which harks back to John Barry) and Komodo Dragon (which is more David Arnold in style and also quotes Adele’s Bond main-title). Talking of which, the Adele track isn’t on this album which it is at pains to point out on the back of the album. This is a dire trend which started with Casino Royale and the omission of the Chris Cornell’s rather good You Know My Name track (if only they did this with some of the less than good tracks such as Another Way To Die or Die Another Day). If you want Adele’s song you will need to buy the single separately. Personally I rather like the Adele track and it works rather nicely in the film, albeit it with seemingly softer vocals. One other track you may or may not get is Old Dog, New tricks, which is an iTunes exclusive. Two other tracks I’d like to single out as enjoying early on are Enjoying Death which had a nice cryptic 60’s spy-flute swagger about it and Mother which has a more emotional tug. Criticisms? Sure! Thematically it could be a little bit stronger and the music tends to be rhythm based. There is thematic material to be found however such as a melancholic yet regal M theme (as witnessed on both Voluntary retirement and Mother), Severine’s theme (also in Modigliani, Komodo Dragon) and of course the James Bond theme (Breadcrumbs). As I said, Newman’s material doesn’t always hit you between the ears on the first listen. Only now am I starting to appreciate some of the density. It could also be argued that for a piece largely revolving around Britain, things sound too ethnic. However for the most part, the album sits together well as a listening experience. The tracks are out of sequence and I’m pleased to say that the track names don’t contain any obvious spoilers. Only the last track seems somewhat out-of-place – mostly a mix of the action cue Newman infuses elsewhere. Not everyone is going to agree with this assessment, but I commend Newman for bringing his own style to Bond, and for me this sits quite highly amongst the non-Barry soundtracks. Of course it is still nowhere near the great John Barry (even on an off day), but I certainly wouldn’t be upset to Thomas Newman return for another adventure further down the line. I highly suspect David Arnold will return back for Bond 24, and I hope the break has given him some fresh inspiration. Meanwhile, to tie things up nicely – why not watch a clip of Thomas Newman, David Arnold and John Burlingame talk here?